Can Survival Bloom On The Battlefield? WTF Why do the zombies have crystal heads? Metal Gear Survive is not Metal Gear Solid 6. Instead, Konami’s first attempt at a post-Kojima military action game is focused on staying alive in a hostile environment and staving off the undead. It might sound like a weird plan on paper, but in practice? It mostly works. 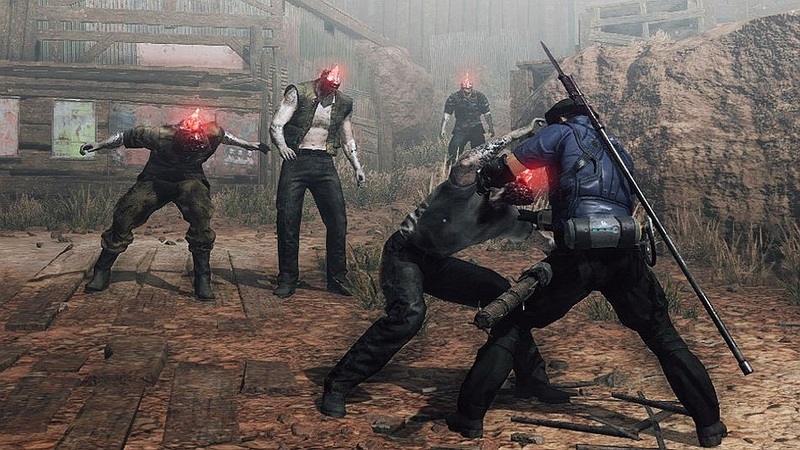 The basic setup of Survive is that during the previous game, Metal Gear Solid V: The Phantom Pain, a group of soldiers and a large chunk of Mother Base were sucked into a giant portal, ending up in an alternate dimension filled with strange monsters and zombies. The player character, referred to as Captain, is sent into the wormhole to save them. I don’t want to spoil Survive‘s narrative because it’s genuinely weird and worth discovering. However, it is worth pointing out that contrary to initial appearances, the narrative does exist. 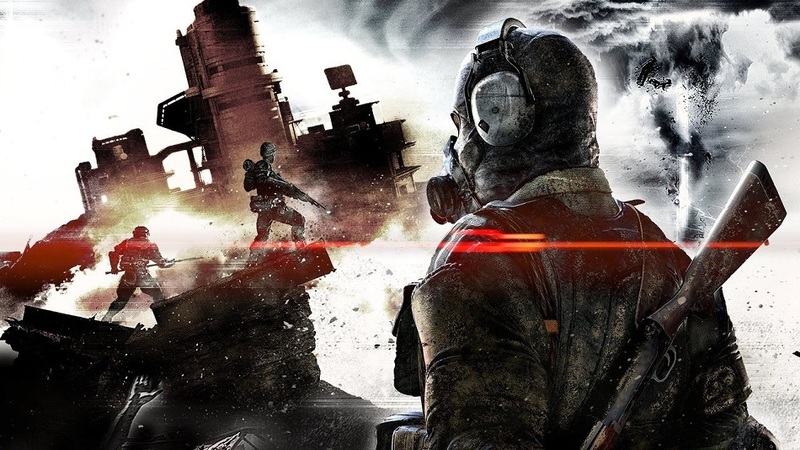 Outside of the story, the majority of Metal Gear Survive involves exploring two different hostile environments and collecting supplies. Each world is fairly sizable, and a lot of my time was spent combing these locations and bringing resources back to my base. Over time, my headquarters expanded as I found survivors and set up defenses and buildings. Eventually, Captain can unlock and activate teleporters which help make searching for new resources much easier — crucial since crafting new items such as farms to grow food and water tanks to contain rainwater are vitally important. Captain has meters for hunger and thirst, and these are directly tied into stamina and health. Getting too hungry means health won’t regen as much. Getting too dehydrated means players will get tired quicker. For the first half of my playthrough, I felt like surviving was all I was doing. I would get hungry, but had nothing to eat. I would be desperately thirsty, and have only dirty rainwater that caused illness and vomiting. Eventually, as players level up, get better gear and improve their base, survival becomes much easier. After more than forty hours, I had more food and water than I’d ever use, and the surplus was shared with my crew. However, all that food and water doesn’t make the Captain invincible. The combat and stealth in Survive is ripped right out of MGSV, but the new focus is on melee weapons, bows and arrows, and creating objects instantly when needed. While it’s great to use “wormhole tech” to pop a chain link fence into existence and then stab zombies through it, the fighting generally feels rough. Enemies would hit me even when I felt I was far enough away, and when facing large crowds of zombies, getting swarmed is a frequent occurrence. While taking on enemies in the open world will happen, players are often asked to defend structures. These encounters happen multiple times throughout the game, and the challenge ramps up. To emerge victorious, players can use fences, turrets and other objects to create defensive positions against waves of enemies. Survive shows players exactly where enemies will spawn, and the path they’ll travel — it’s very Tower Defense in this regard. Unfortunately, these defense sections started to feel repetitive after a while, and more variety would have helped. On the other hand, the enemy variety in Survive is surprisingly good, and the creature designs are fantastic. From basic walking zombies to giant squid things, the foes Captain will face off against come in several different flavors, and all are a blast to fight. Of course, in true Metal Gear fashion players can use stealth to sneak around crowds or dangerous foes, but I eventually reached a point where it was easier and just as efficient to either run past or kill every enemy. Once the story wraps, the other big chunk of Metal Gear Survive is its multiplayer co-op. These missions take the tower defense encounters from the singleplayer and increase the difficulty while letting others join in to help. Interestingly, players bring their single-player character into the multiplayer and earn supplies that can be brought back into the campaign. Defending a base against enemies is more exciting with three other players helping, and because there are more players, increased challenge makes them more compelling than they are in the campaign. The only downside is that players will soon see every map, and repetition starts to sink in. Hopefully Konami will add more content here, because at this point their appeal is wearing thin. Parents: According to the ESRB, this game is rated M. It contains Blood, Language and Violence. Throughout the game players can kill human-looking enemies using guns, swords, bows and explosives. Characters also swear during some cutscenes. Deaf & Hard of Hearing Gamers: Subtitles are available to the player. UI on the screen makes it easy to know when players are hurt, in danger or being attacked without need of sound. It’s fully accessible.